« Young Authors in Arlington! 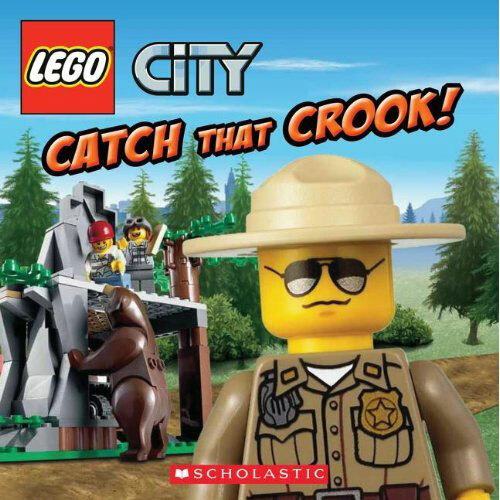 Released this week is another one of my LEGO City books—Catch That Crook! These have been great fun to write, especially since LEGO insists on including plenty of jokes, gags, and slapstick. No problem! I’m happy to comply. And if you’ve been keeping up with Clownblog at all, you’ll know that we’ve enjoyed seeing all of our Clown Commandos characters come to life in true LEGO minifig fashion. In fact, I’m growing into a LEGO fan all over again! If you’re a LEGO or LEGO City fan (or know of a young one who needs a new early reader) you can order a copy of Catch That Crook! below. This entry was posted on Monday, January 2nd, 2012 at 2:34 pm	and is filed under books, LEGO, New Release, news. You can follow any responses to this entry through the RSS 2.0 feed. You can leave a response, or trackback from your own site.